Matagorda Dunes is one of the most unique properties in the area. 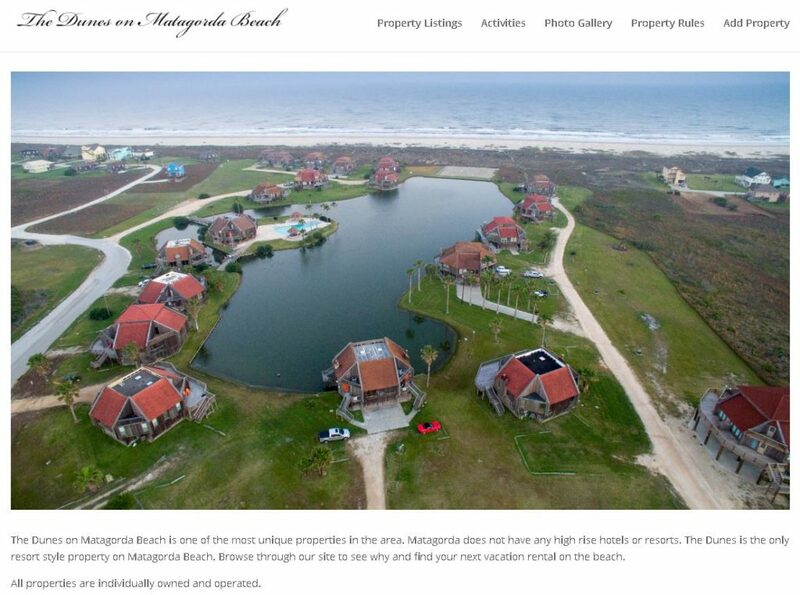 The Dunes is the only gated resort style property on Matagorda Beach. We are also the only property on Matagorda Beach that has a pool. The property is bordered by Beach on one side and surrounded by LCRA wildlife preserve. Please browse through our site and find out why Matagorda Dunes is a great place to stay for your next trip to Matagorda, Texas.